In °C / °F both Measurement Accuracy : +/-0.1°C. Auto calibration : +0.4°C- -0.3°C. Display : Small unit of display 0.1°C. 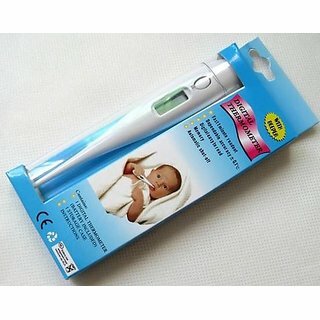 Packing Content: 1 X Digital Clinical Thermometer 1 X Glass box for keeping thermometer after use. 1 X Window packing cover.